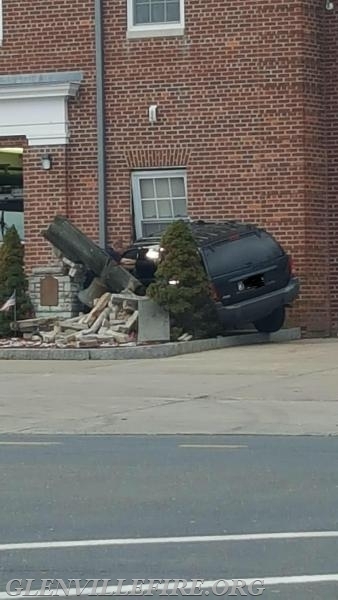 GREENWICH — A motorist having a medical problem slammed into the Glenville Fire Station around 8:30 a.m. Wednesday morning. 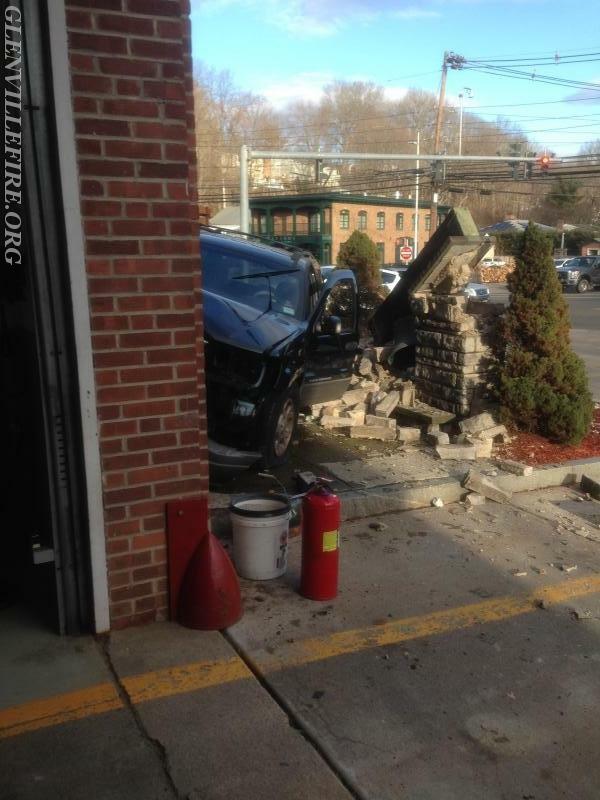 The man was transported to Greenwich Hospital for treatment of his medical condition, and he also suffered from what appeared to be minor injuries from the collision, according to Assistant Fire Chief Robert Kick. No one else was injured at the time. Several firefighters were on the premises when the vehicle struck. 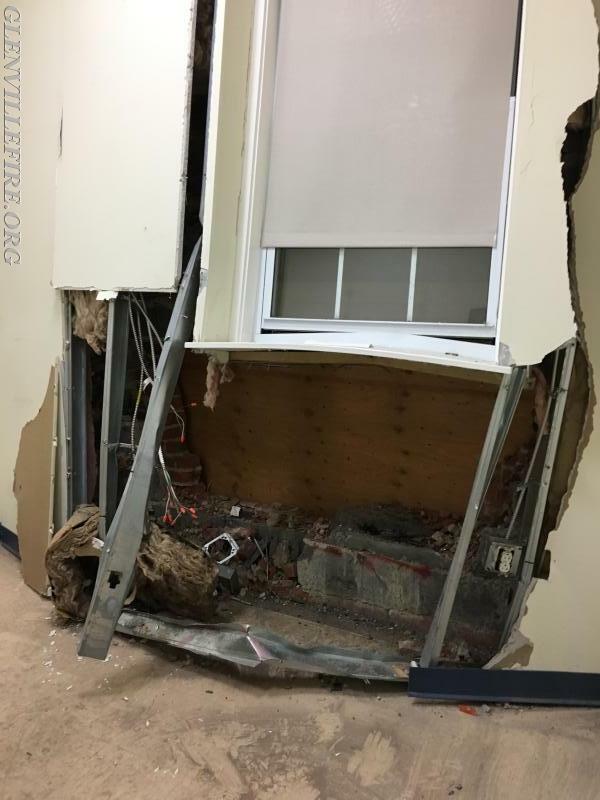 “The person driving the vehicle had a medical issue, which caused him to slam into the building,” the assistant chief said. “There’s significant damage to the front of the building,” Kick said, and an office inside the fire station was badly damaged. 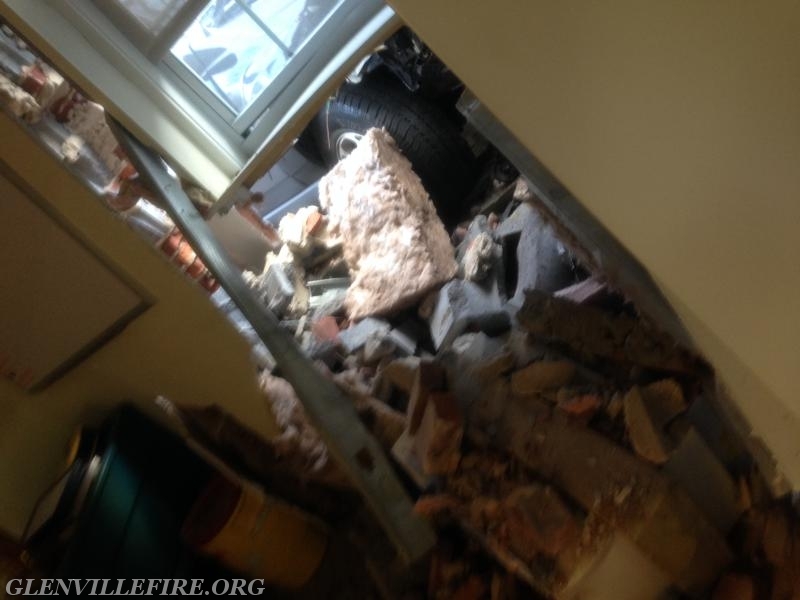 Bricks and other construction material were forced into the office from the impact of the collision. A window was also damaged. Otherwise, Kick said, the structure did not sustain structural damage. While the office is closed, the fire station is operational.